I used to buy whatever brand they had at my local health food store which was usually the NOW brand, sometimes Aura Cacia. My midwife (a certified herbalist) suggested I buy something organic to avoid pesticides. At the very minimum you want to make sure you are buying an essential oil that says it is 100% pure essential oil (no fillers). You have be aware though that a company can claim their oil is 100% pure when it is not. Two companies that claim to hold the highest standards in the processing of their oils are doTERRA (DT) and Young Living (YL). Both oils are 100% pure and do not use pesticides. Both oils cost about the same with DT being just slightly less per bottle, and I would say that their oils are both comparable in quality. Many will argue this, especially if you talk to a DT or YL rep. But I think both companies have pro’s and con’s and it’s hard to say which is better. The biggest difference is in how the plants are grown and processed. Young Living says they grow and process all their own plants (oils) and own and operate all of the farms directly – most of these farms being in the U.S. They call it their “seed to seal.” This allows them to have more control over the whole process. The downside is that some of these plants are not being grown in their native climate. Young Living has been around for over 20 years (since the 80’s). There is some controversy out there over the owner, Gary Young and his ethics and integrity. Some people choose not to use Young Living for this sole reason. 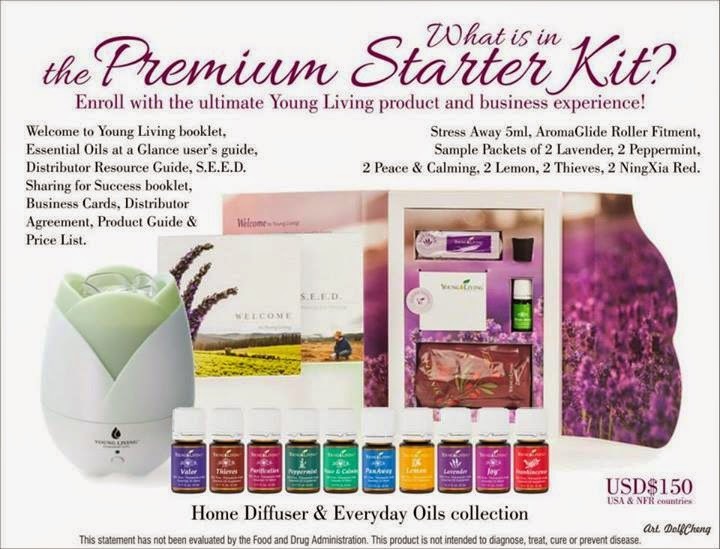 Young Living has about 87 single oils, and 70 blends. DoTERRA uses the phrase “Certified Pure Therapeutic Grade.” They claim to be the only company that offers CPTG oils. What does this mean? Pretty much nothing because they coined the phrase and no organization exists that certifies oils so how can they claim to be certified? No other company can use this term because DT has it trademarked. It’s more of a marketing tactic which turns me off. DT does take a lot of measures to test their oils and I think that’s what they were trying to get at by developing this term but I think it can be misleading and cause you to think that other companies’ practices are less stringent which is probably not the case. When I first heard about DT being the only CPTG essential oil on a video I was watching of a guy who sold DT oils, I thought wow, they must be the best. When I read that they made up the term I thought, what a scam. I don’t like to be duped. But, can I put that aside if they offer a high quality product? Sure. I like to buy the best product available in whatever I’m using for health purposes. So I continued on with my research. What’s similar about these two companies? Both are multi-level marketing (MLM) companies, meaning they use individual sales reps or wellness reps to sell their oils. Translation: Some of the money you’re paying for your oils is going to the sales rep and their upline. More on this later. It also means that when you have a question, you’re pretty much going to go to your sales rep for the answer instead of calling the company. Are these sales reps certified in aromatherapy and the proper use of oils? Some are. Some are not. How can I say this with certainty? Well, I tried to buy some oils from Young Living but in order to get the 24% discount (that’s a pretty big chunk), I had to become a YL member. Once I become a member, I am authorized to sell YL oils. Do I know anything about essential oils? A little. Have I been trained in the proper use and safety of oils? Nope. That’s kind of scary. Yes, there is usually someone above you that brought you to the MLM that may know more than you. This is when you will hear, “Hold on. Let me get back to you. I’ll ask my upline.” (or whatever they call it). Who’s to say that the upline person is any more educated than your sales rep? I’m not saying these reps don’t have the best intentions. They likely bought the oils, liked them, and now want to sell them to their friends and hey, why not make a little money while they’re at it? Seems innocent enough. Except for the fact that essential oils are very powerful and you need to be careful when using them. Also take into consideration that they are likely also selling them so that they can afford to buy these oils themselves. Even if they pass their discount on to you, they may be earning money towards their own future purchases through the MLM’s reward program. Giving someone the wrong information could cause some serious reactions. I know both companies offer training but very few reps are actual certified aromatherapists. Most are moms who use the oils themselves so decided to sell the oils as well to earn commission towards their own purchases. This has been what I’ve seen so far anyways. The consensus out there is that doTERRA and Young Living are careless in their suggestions for use. Based on my own experience, I would have to agree. Both companies promote the ingestion of oils and the use of oils neat (undiluted). They promote ingestion of oils because they believe their oils to be of such high quality and therefore able to be ingested. While they may be clean, high quality oils, ingestion of oils should be done very carefully and under the advisement and care of a certified professional or aromatherapist, not a sales rep. I put DT peppermint oil and also the Past Tense blend another time on the back of my neck and forehead when I had a headache and it burned like crazy! I tried to put water on it to take away the burn but that didn’t help. I later learned on the “Safe Essential Oil Recipes” Facebook group (more on that later) that I should put a carrier oil on it like coconut oil, not water. Water will not do anything. So now in addition to my headache, my skin was burning! The oil did nothing for my headache but the smell made me nauseous for some reason. The next time I decided to try a blend sample I was given. The doTERRA Deep Blue Rub. It contained peppermint as well as some other minty/menthol smelling oils. I had another headache and my neck was sore as well. It looked like a lotion so I thought maybe this was already diluted. I put it on neat and it burned as well. I don’t know if I used too much. The smell also made me nauseous. I tried it one more time another time, this time not using as much. It burned less, more of a hot/cold sensation which I think it’s supposed to do and it seemed to help a little but nothing miraculous. I’ve read reviews that this stuff is great but I can’t make the same claims myself unfortunately. Since I like to torture myself, I decided to try the peppermint oil one more time for a headache. I really wanted this stuff to work and I wanted to be able to write that the oils really work great. I thought maybe I just needed to get used to them or something. I put the peppermint oil on diluted this time using some coconut oil as a carrier oil. Then I decided to take a bath and put a few drops of peppermint oil in the bath as well. I asked my DT consultant if that was OK (after the fact). She said yes. I put a couple drops of lavender in as well. I later learned on the Safe Essential Oil Recipes Facebook group that a total of about 3 drops of essential oils is plenty for a bath. Oops. I was just shaking the bottle. Probably put in close to 8 drops total. I also learned that you need to be careful with peppermint oil (especially with babies and young kids) because peppermint oil can cause a slow down in breathing. After my bath, I felt very nauseous and felt like I was going to pass out. My headache wasn’t gone at all. I felt worse. I talked to both my DT rep and a YL rep I know asking what was going on. One thought it could be that I detoxed too fast or dehydrated and she suggested I put one drop of lemon oil in a glass of water and drink it to help. I didn’t. I felt like crap the rest of the day. Some people say that you could have a reaction to one brand of oils but not to another, partly due to quality. Based on my experience, I didn’t think I wanted to try any more DT oils. I was using samples I was given so I had never looked into DT’s prices. DT offers a discount of 25% off their oils if you become a member. Membership is $35, with a $25 renewal every year. Or you could buy a kit which included a membership. Kits were about $250 and included about 10 oils and a diffuser. These oils are the 15 ml size. I thought I’d try out a couple YL oils. I tried to find the cost of some of the oils I wanted to try out. I have never tried frankincense but had heard good things so wanted to try that. Also wanted to get some oregano. It was hard to understand the prices on YL’s web site. They had some kits I could buy to save a lot of money but I didn’t need some of the oils in the kit so was I really saving money? Also, if I became a member, I would get 24% off of these prices. I hate math. I don’t want to figure out what 24% off of each oil is. Also, if I buy from a YL rep and don’t become a member, then how much am I paying? I’m not sure how that works but I’m assuming they are making their profit within that 24% so maybe they would give me 10% off and keep the other 14%? My friend who sells YL offered to give me her 24% discount, and she would also cover the shipping. I would feel bad making someone pay for shipping and get it mailed out to me every time I order oils. If I bought a kit, I could automatically become a member. The kit I was looking at was $150 and came with 10 oils (5 ml bottles so pretty small compared to the 15 ml they usually sell), a few samples, and a diffuser. The diffuser was normally about $100 and I needed a diffuser so I thought, maybe this was a decent deal. I already had some of the oils in the kit (like lemon, lavender, and peppermint) but thought maybe I would give the YL oils a try and I wanted to get the membership so I could get the discount on future purchases. So, I started to order the kit. Two hours later…oh my goodness. To become a member you have to sign/agree to this contract of theirs. I of course read through it first. It was very long first of all. I stopped when I came to the part about not being able to blog about competitors. Huh? Well I’m going to. I knew I was writing a blog post about essential oil brands and doing a review of doTERRA. You also could not say anything negative about other essential oil companies. That’s nice but it’s a free country and I have a blog so that’s not going to happen. I’m going to blog and I’m going to be honest. Then it said if I was a member, I was automatically authorized to sell YL oils. I don’t want to sell oils. I don’t even want to be authorized to. Then there was this reward program where I could earn free oils, and I had to sign up for that too. The rewards program was a bit confusing, as was the whole blog posting, and not mentioning competitors thing. The YL reps assured me it was fine to blog and I didn’t have to sell the oils if I didn’t want to. Well it’s not fine with me. I’m not going to sign a contract knowing I’m going to violate it. It has to do with integrity. So, I decided I wanted to call Young Living directly to get some clarification before I signed their contract. Who thinks I got a hold of someone? I waited for twenty minutes and couldn’t get through to someone so I finally chose the option to leave a message and have someone call me back. No one ever called me back. I think they really prefer you to go through their reps. So much for Young Living’s customer service. So I decided not to become a YL member and it’s a good thing because the following week, Facebook lit up with postings about how doTERRA and Young Living were given warning notices by the FDA (click on link to read the letter for yourself) for claiming that their oils cured ailments. They cited that the companies and their wellness reps (these innocent mommy bloggers like myself!) were posting things on their blogs, twitter accounts, and Facebook pages about the company’s oils and claiming that the oils could cure things like Ebola, the flu, and other ailments. While I think the filings are totally bogus and ridiculous, I’m so glad I didn’t become any part of that! But I still wanted to try out some Young Living oils, especially for the sake of writing this review. So for each oil I wanted, if I did not become a member, I would have to ask my rep how much the oil was. (I later also discovered you can just order YL or DT oils on Amazon so you can see the exact price you’re going to pay.) I asked about frank and oregano. On YL’s web site, they have frank listed for $94 and oregano for $36. Holy crap! Even with a 24% discount, that would be $72 and $27. I had spent all this time researching oil brands and I never stopped to see how much these oils cost! I knew they would be more expensive than what I was paying at the health food store (around $8-$10) but I never imagined they would be that much more! She suggested I purchase a kit (at $150 because that would be the best deal and it included a frankincense in it). Except I didn’t want or need the whole kit. I just wanted to try out a couple oils that I did need. I did need a diffuser but I had already found one for $35 so I was good there too. Sigh…on with my search for affordable quality oils. Somehow around this time I discovered the Facebook group, Safe Essential Oil Recipes. I believe it was a Facebook follower of mine that recommended it to me after writing my last EO post. Thank you!! LOVE this page! It was here that I have learned SO much more about the safe use of EO’s, how to use the oils, what I can do with the oils (lots of recipes shared), and answers to all of my questions. Nothing I had learned so far from doTERRA or Young Living. I honestly spent the first two months looking at the DT oil samples going, hmm…what do I with these? How do I use them? Wait, there are a few things I learned through trial and error. First off…keep out of reach of children! When I first got the oils I left them out on a table for a few days, not even thinking my kids would get in to them (my youngest is 4). I had also told them not to play with them. But I didn’t tell the neighbor kids! One day I come downstairs and the entire downstairs smells like peppermint. I go to the table and find my two girls (11 and 4) with a neighbor girl (7) playing with the oils! The other girl had rubbed the peppermint oil all over her wrists like perfume! She wreaked! Lesson learned! 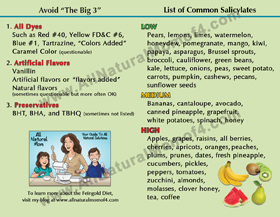 Below is a list of oils that are kid safe. This list is from Plant Therapy’s web site. They believe that most oils are not safe to use on infants with the exception of a few when used with caution and properly. I also learned that there are some oils that can trigger seizures if someone has a history of seizures. My son does! Oils like eucalyptus globulus, rosemary, sage, wormwood, and a few others. Good to know! We have diffused eucalyptus in the past when my kids had a cold and we also had a baby in the house. Eucalyptus is another one that can affect breathing and shouldn’t be used around babies. Also pregnant women need to be very careful with EO’s and only use under the care of their midwife or doctor. All of these things I feel I should have been warned about but wasn’t. Another time, I had our diffuser running in the family room. I see my 7 year old son leaning over the diffuser with his eye directly over the top where the steam was coming out! I said, “What are you doing? !” He just smiled. 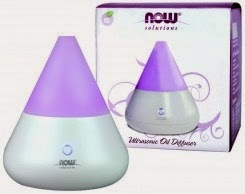 My kids love the diffusers but I had to teach them that oils are not something to play with. My son asked one day when we first got our NOW diffuser, “Where’s that TeePee thing that smokes?” Lol. They also love that it changes colors. I also have to make sure they don’t put the oils in themselves because they will use too much. Six drops is the max for my small diffusers and they only should run for about 30 minutes at a time (wait about 3 hours in between running it). Didn’t know that. The NOW diffuser I bought (for $35 at my health food store) didn’t have a timer so sometimes I just let it run all night in my daughter’s room till it ran out (about 6-8 hours). Way too long. I had no idea. Learned that on the Safe Essential Oils group. So, I went online and bought a diffuser with a 30 and 60 minute timer for about $30-$39 on Amazon. BriteLeafs and another one by Signstek. It’s worked fine so far. Nothing fancy and it’s small but it does the job. Perfect for a bedroom. I have links to them on my Essential Oils Pinterest board. I learned to never use oils undiluted (thank you peppermint oil for this lesson). Use coconut oil or some other carrier oil. There are a couple oils that are OK to use undiluted but not many. I learned that you can put the oils on the bottom of your feet and your body will absorb the oils, and it will be just as effective as smelling the oils. Good to know. My kids and I didn’t care for the smell of the In Tune or Balance blends from DT (which are helpful for ADHD/focus) so I never tried them out on them. I do plan to try them sometime and will post about it if we like them. Mornings are just a little crazy for us. Did I say crazy? I meant total chaos. I have four kids to get to school at three different schools and four breakfasts and 3 lunches to make all before 9am at least two days a week and one of the schools is 35 minutes away. So to stop and remember to get the oils, dillute them with carrier oil and get my kids to let me put it on their feet just hasn’t happened yet. But some day we’ll try it. I’ve learned lots from the Safe Essential Oils Recipes group and I highly recommend if you are interested in using and learning more about oils, that you join the group. Right now there are over 25,000 members and climbing. You are allowed to discuss other brands of oils but it is represented by Plant Therapy essential oils. They also have lots of sales that go on almost every month it seems like. So after reading on there for a while and learning that Plant Therapy (PT) sells oils for astoundingly less than DT or YL, I of course had to ask the question, “Why does YL and DT sell their oils for so much more? Is the quality that much better?” The answer I got from many people on the board? – DT an YL are multi-level marketing (MLM) companies so a good chunk of that difference in price between them and other essential oil companies goes to the wellness advocates and others in their upline. It also appears they spend a significant amount of money on marketing, advertising, conferences, and I’m guessing training of their sales reps. I have to give them credit. They do a great job of marketing. Both companies have created a great brand image and they’ve obviously taught their sales reps how to make a sale. This answer made sense to me. But what about the quality of Plant Therapy or other EO companies? Plant Therapy does not use any pesticides on the oils they sell, even if they are not organic. They are also 100% pure essential oils. You can still buy some of their oils organic if you choose to. There are other specifics about how their oils are made, etc. but after all the research I did on DT and YL I was tired of learning about that stuff! It seemed like a legit, clean, essential oil company and people were raving about the customer service. I found it to be excellent as well and was able to get a hold of someone right away with a question I had. As well, they have certified aromatherapists on staff to answer any questions. Big bonus over YL and DT. The staff/Facebook group administrators are also active on the FB group and answer many questions themselves as well. 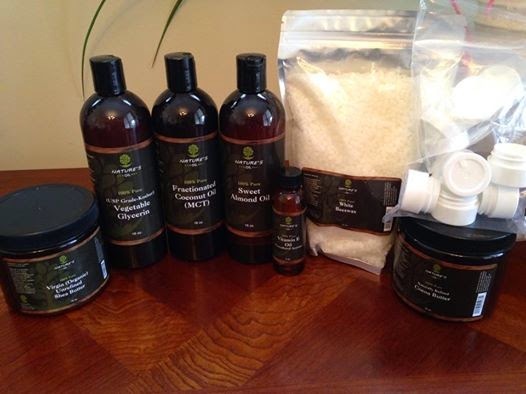 I asked a couple people I knew and trusted what brands they used and some of them used Plant Therapy, as well as Mountain Rose, Native American Nutritionals, Aura Cacia and a couple other ones I had never heard of. Most of them purchased online. I went to Plant Therapy’s web site to look at their prices and compare to DT and YL. I bought the frank and oregano I wanted. I even bought an organic oregano. I paid $14.75 for their frankincense carteri. Big difference between the $72 at Young Living. And I paid $11.75 for an organic oregano. Better than $27 at YL. Does YL have a better quality oil? Probably. But do I think it’s worth an extra $57? No. If both oils work relatively the same, I’m going with the cheaper one. Some of the more common oils sell for even less. One lemon is $6.44. Clove was $6.43. 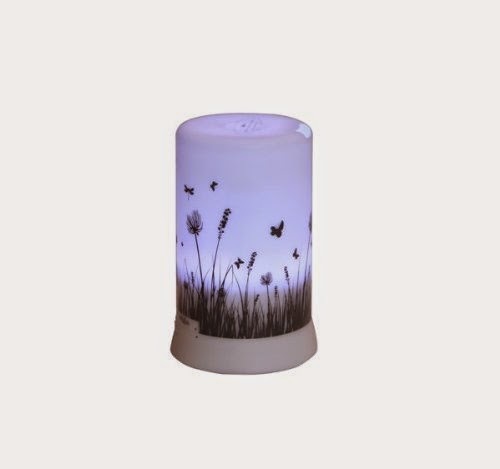 Lavender for $6.99. And for many of the oils I purchased through PT, we were just trying them out to see if we liked the smell, and to see if we reacted to them or not as well. There are a couple that I didn’t care for the smell of, and I didn’t cry about it. I only paid about $6 for some of them. Also, the standard size bottle for PT is 10 ml. This is smaller than the 15 ml YL and DT sell, but still a decent size and I really don’t mind, especially if I end up not liking one of them. I think YL and DT should do the same and drop their prices some. We’re also playing around with them in different recipes, like an “owie” spray, diaper rash spray, bug spray, laundry stain spray, hand lotions, facial cleansers, lip balms, bath salts, sugar scrubs, air freshener sprays, etc. The list goes on and on. Especially for these types of things, I don’t feel I need to pay super high prices for the highest quality available. I just bought some of the carrier oils and other ingredients I would need to make some of the above things, and I got those from www.bulkapothecary.com. PT also sells some of these items as well but this site was recommended on the FB group. Below is what I bought. I spent about $64 including $12 for shipping. That’s the other thing I really like about PT. Free shipping! All the time! So you don’t have to worry if you just want to try out one oil at a time. Free shipping. And it was pretty fast too. They shipped it out the same day. I got it two days later. They also have a lot of sales. Usually about once every month or two they’ll have a three day sale. Right now, it is 15% off your order (Nov 17th-20th). Use code safegroup15. I don’t plan on ingesting the oils and for medicinal purposes, I usually diffuse them. I’ve used oils topically several times in the past, especially tea tree oil (or melaleuca) or oregano and I’ve used the cheap NOW brand from the health food store and it worked. PT’s oils are about the same cost if not cheaper than the health food store and from what I’ve read are better quality and the customer service is outstanding. I do plan to use some of the PT oils topically, especially when used in facial creams or lotions, or rubbing on the feet. I do feel they are a good quality. I just don’t feel comfortable ingesting any oils, YL, DT or otherwise. I may change my mind later on down the road but for now I’m happy using the oils the way I do now. 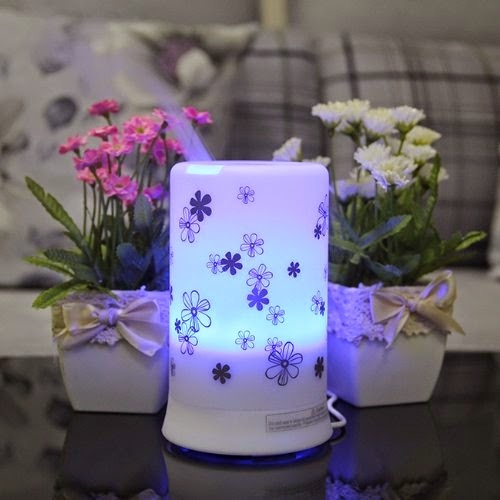 We also used them to diffuse for the purpose of cleaning the air, fighting germs, boosting our immune system, or just because we liked the smell of it. We diffused a Snuggle Blend that was 3 drops of cinnamon, 2 drops of clove, and 2 drops of white fir (we used fir needle). It smelled like fall and Christmas in one. My kids loved it. And as a bonus, clove is great for fighting a cold or flu. It’s one of the key ingredients in Young Living’s popular Thieve’s blend. Clove is not on the kid safe list by the way and it would be Feingold stage two. I know this is a lot of information. I suggest joining a Facebook group so that you can learn a little bit every day. It’s really too much to take in all at once. I hear a lot of people say they haven’t started using oils because they are afraid to. I think it’s very wise to wait until you have learned more and are comfortable with what you are buying and how you are using it. It’s not hard to get started though. My first purchase from Plant Therapy was their Kid Safe line ($49.99 for 6 bottles, plus there was a $10 off sale so I paid $39). I wanted to make sure I was getting oils I knew were safe for my kids. These still need to be diluted if you are using them topically. If not, you just diffuse them. We only do about 3 drops in our small diffusers. Our diffuser can take up to 6 though. You could also buy these bottles separately for close to the same price. I didn’t like the smell of the Nighty Nite but my daughters did. They also have a Dream Away that is also a sleep aide. All of these can also be used on adults. They are just made with oils that are safe for kids. You can also buy pre-diluted roll ons. These are nice because you don’t have to worry about using a carrier oil with it. I bought a headache relief synergy pre-diluted roll on blend. The only down side is that you can’t use these to diffuse. So in summary, which brand do I recommend? Well, I won’t point to one as this is not my area of expertise. I did come across one blog where she did extensive research for 10 months and decided on using Native American Nutritionals. See her post below. She also did several other posts on the subject of EO brands. Follow the links in her post. I don’t wish to spend that much time and money researching essential oils. I may end up trying a couple Young Living oils out at some point but for just starting out, I don’t want to spend that much money. 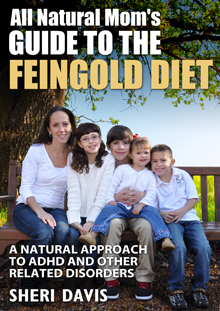 And if you do the Feingold Diet, they say to wait to try essential oils until you have reached baseline. Many kids are sensitive to scents, even all natural ones. I know I for one would not be happy if I spent a lot of money on EO’s only to find out my kids couldn’t tolerate them. Some of the oils would also be stage two like wintergreen, clove, orange, and several more. There are so many essential oils, it’s hard to tell which would be stage one or two. Also, please read this post below about allergies. People can react to just about anything, including essential oils so please use common sense and caution. Are Allergies Possible With Essential Oils? I’ve been happy so far with PT oils and even happier with the money I’m saving over DT or YL oils which I almost bought. As a Christ follower, I want to be wise with the money that God has entrusted to me. I have no problem spending money on something that I feel is high quality or the only one of its kind (ie. Grass fed beef, high quality vitamins, organic food). However, I don’t feel the cost of the YL or DT oils are justified. I personally think a lot of it is going to support the MLM structure, and I’ve found the other less expensive oils work just as well. So, there you have it. The good, the bad, the ugly. Please do your own research on essential oils and decide for yourself which brands to use AND educate yourself on how to use them properly. This is just my experience and opinion. Someone else may have an entirely different experience with these oils. And for the record, I’m not a doctor, certified anything, or nutritionist, etc. I’m not giving any medical advice. See your doctor for that. You know the drill. And yes, there are certain oils and oil blends that work well for ADHD. I won’t go into those here because this post is already way too long! But we intend to experiment with those by rubbing them diluted on the bottom of my kids feet before school. Vetiver is one that is commonly used in a blend because it doesn’t smell very good. We have the A+ Attention blend from Plant Therapy and In Tune from doTERRA. We also have Calming the Child from Plant Therapy. I don’t like smell of it. Too lemony. But I’ve put it in the bath (1 drop with 2 drops of lavender mixed up with one cup of epsom salt). And if you do try out some oils, which ones would I recommend? Well, if you don’t have any, for singles, I personally would get lavender, tea tree (melaleuca), and peppermint. Oregano and frankincense are also good ones. For blends, it just depends what issues you have in your house. I like to go on the Safe Essential Oil FB page and ask for recommendations for specific issues. From there, I bought oils I needed to make certain recipes with. I got coffee and vanilla to use in lip balm and sugar scrubs. And I bought clove, fir needle, and cinnamon because I like the smell for diffusing. So, it’s really up to you but I suggest starting slow. That’s the nice thing about Plant Therapy – free shipping, I can feel free to try out one at a time if I wanted. And as promised, if you’ve made it this far, you can enter win a introductory kit of lemon, peppermint, and lavender doTERRA oils hosted by Heather Grant. Click below to enter. You will have to enter your name and email address to enter. Below are a couple posts that I got some of my information from. They have some good information. If you’d like to leave a comment about your experience, feel free to do so but I will not publish comments that are hateful or bashing. That’s one of the things that almost turned me off to all essential oils is the amount of bickering that goes on about which brand of essential oils is the best. Everyone has the right to the own opinion. Let’s respect that. Posted in Natural Living and tagged Essential Oils. This is so informative! Thank you! I've tried peppermint oil in the past, but I've been wanting to try others. I'm especially interested in oils that help with colds and coughs. Diffusing eucalyptus, clove, and peppermint are all helpful for colds (just be careful if you have little ones in the house). Tea tree (meleleuca) will help kill bacteria/germs in the air. I forgot to post the link to the last post I did. I will add that now. I talked a little bit about how we have used oils in the past. Hello…could you share your email address? 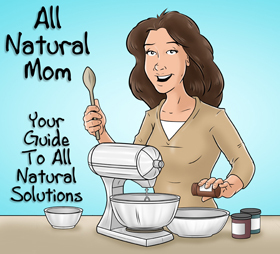 I'd like the natural remedy for yeast in moms…thanks. sheridavis205@comcast.net. You can also message me on Facebook. All Natural Mom. Your article says most YL oils are grown in the US but Young Living has farms all over the world. France, Oman, Canada, Taiwan, Ecador, Peru. I I also feel more comfortable buying from a rep than a store when there is no one to help you learn. 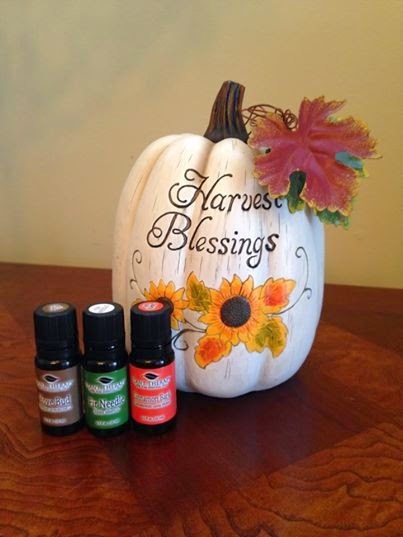 Yl oils have helped our family of 8 barely be sick in two years and that is priceless to me. Who has time to miss work and school and be ill! Love love oils! I’ve been using YL for 3 years now and never ever had a problem or dislike of anything I’ve purchased. You are incorrect when you tell people when they have questions they must ask their rep or person they are buying through! I am a member for the better price but I do not sell them. I just call the YL # and speak directly to a rep from or at the YL co. They have all the correct info. Other than that, good job on your info. 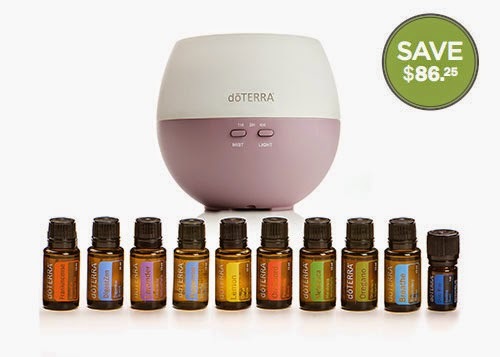 Being a dōTerra Wellness Advocate for 5 years now, I know that if any consumer has questions about their products, they can ask either their own WA or any other WA from the company and most, if not all, will try to find answers, but additionally, dT has a customer service number for anyone to call with any questions about the products. It is not 24 hours, but they are open long hours. Additionally, as far as ingestion, the ingestible oils are labeled with a GRAS label that is required by law for any supplement that can be ingested. If it was not safe to be ingested, the FDA would not allow the item to be labeled as such. There are many lower quality oils on the market that are also labeled as GRAS. Many are not, and are not labeled as such. This being said, dT oils are 100% pure, but some other brand of oils that are labeled as GRAS may not be 100% but still are safe to ingest because they are mixed with another ingestible oil, like coconut oil. This is no different than ingesting other plant constituents, like herbal teas, spices, etc. Essential oils are just more concentrated versions of these constituents, and as such many are safe for ingestion. One last point about dilution, some oils need dilution and some do not. “Hot” oils need dilution, this includes the mint oils, cinnamon, oregano, and a few others before topical application. That being said, I’ve used peppermint oil neat on my neck and although it was a little tingly, I wasn’t burning, but I only used one drop and rubbed it around a larger area. These are very concentrated oils. The person who gave you the samples should have given you instructions on how to use them, that is proper protocol when giving samples. I’m sorry you had a bad experience because you didn’t have the proper information. I am confident in the product I use and am very confident in my choice. I chose to read this blog because I was curious how Plant Therapy stacked up comparatively. In reading yours and a couple other blogs, there appears to be some misunderstandings about the safety and usage of the oils, particularly based on whether they can be ingested. As I mentioned previously, they would not legally be able to be labeled as such if they were not. Items get labeled only after extensive testing by the FDA, but even they screw up and find out that some products are unsafe and pull them from the market period, not even just to have them relabeled as not GRAS. After 10 years, I’m not aware that dT has never had a product pulled from the market, neither those labeled as GRAS or not. YL has many global farms & adds more every year. Not only are no chemicals used in growing & soil certified for the same, they are processed without chemicals. … most inexpensive oils are chemically processed. YL also is tested 17 times from seed to seal. 3rd party testing in France, where the standards are much more rigid. Plants are harvested at the best time for exceptional oils. The oil is also highly concentrated so that less us needed & therefore lasts longer. YL controls the entire process to ensure the best oils. Yes, Gary was considered unethical because he told how the oils helped…. FDA said he couldn’t anymore so we are taught to just tell you it smells good. 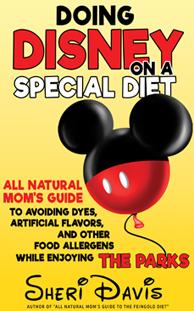 But there are still books to get the info from, including French medicine books….but you need to do your own research since FDA has tied it up.